So guys, at least whoever sees and reads this. I just want to get your opinion. 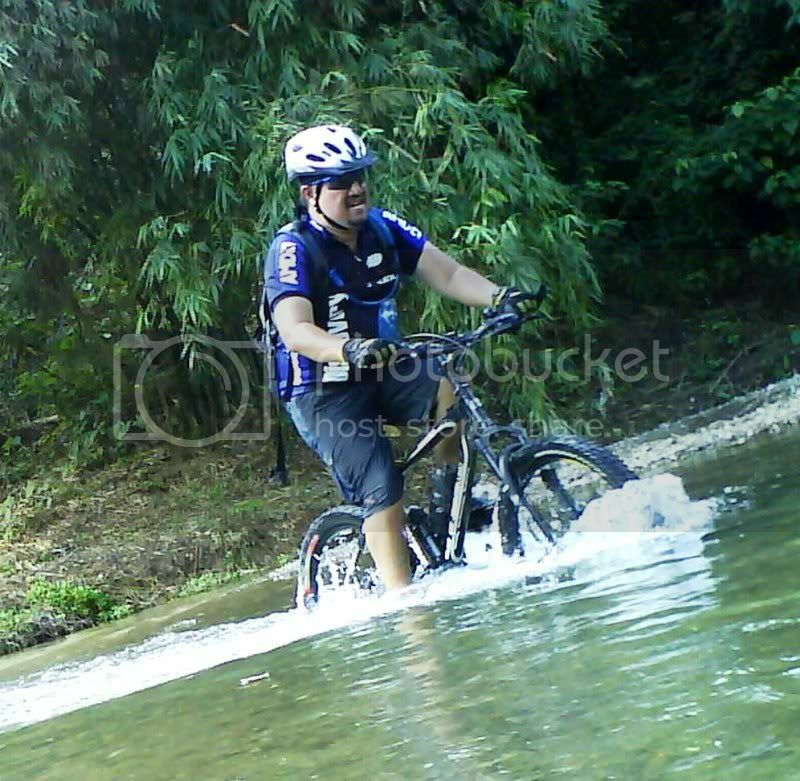 Through the years of PinoyMTBiker we've launched one-items, wearable or usable. Yeah I'll post a pic sometime but not now because I haven't taken a picture yet. 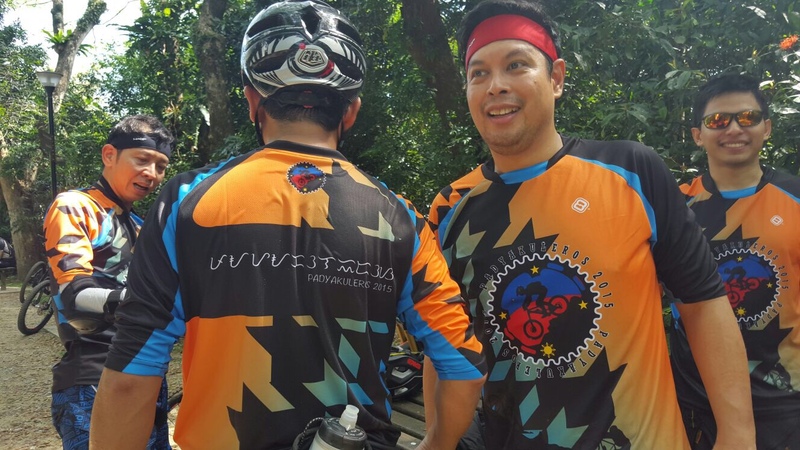 What you probably are familiar with are the PinoyMTBiker jerseys. We have a quite a few, you'll probably know the classic Red, blue and black variants which has a single design. Then we had an almost every other year jersey release, green front (with red back), black jersey (blue, red and yellow designs), the 10th year (blue with red X in the chest area). There was actually a first jersey, the personalized gray Urban Assault jersey. 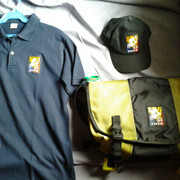 We also launched a black cap, blue polo shirt, light green messenger bag, light green baller ID, t-shirts (one of our design and a ), lots of stickers. dehins naman halatang ang tagal ko na dito 'no? Anyway, would you buy stuff from PinoyMTBiker? If so, what would you be interested in? The jersey will always be there so no need to mention it. Or do you want some items relaunched? how to buy? sorry, first time buyer here... interested on the jersey. 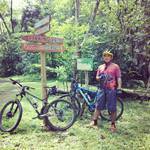 it would be best if you could post/send list of available PinoyMTBiker merchandise with corresponding price. take my money... hehe... (sorry, ill still mention it) jersey, stickers and cap please. reflectors? meron ba tayong mga patches? kagaya nung mga nilalagay ng mga boy scout a patch. pwedeng ikabit sa mga bag or hydration packs, etc. Thanks for the interest guys if you look closer, or at least as much as the camera can, yung pathces dyan eh hiwalay. tinatahi sa item yung patch, although I have yet to coordinate with Mon kung saan siya nagpapagawa dati. Either one-off na batch or per order basis. I'll try to get the ball rolling to produce the items again bago yung susunod na event. It probably won't look like these, but you get the idea that we used to have these available. xmayor, nakow...'di ko na alam ang presyo ng mga 'to, he he. BTW, these are not available at the moment, heck it's been a long while since we rolled out the last non-jersey merchandise. Aaah teka, yung cycling socks pala available, subukan ko humingi ng pics. PinoyMTBiker socks are Darlington quality nga pala, just so you know. ako gusto ng jersey at shirts or polo shirt. Mon used the rectangular logo on the merch, I guess it just got passed along. we could also have a biker's polo ala formula 1 pit crew jersey cool! brad ice, I'm actually hunting for a producer of that polo after we discussed it. I have a lead on the patches, but the buttoned shirt is trickier to find. sa buong buhay ko ng pagiging member, sticker palang meron ko lol and tbh, di ko parin alam kung san ko ilalagay. basta nakatago lol. kung jerseys, pwede sa caster sa me kamuning. sila gumawa nung isang jersey namin na 3/4. ok naman quality - i don't have nega comments. 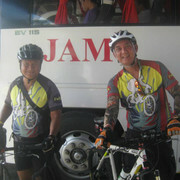 pero as far as bike specific jerseys, nothing beats outbreak (aka OAW - cebu based). you get what you pay for ika nga (plus shipping pa). thing about caster (i'm not affiliated) is that the more you order the cheaper the cost. sa OAW, standard pricing regardless of the quantity. baggy shorts! pero in the simple style of a FOX Indicator (but with more bulsa). baggy jerseys! dehins yung tamang hapit na jersey ha. Like whay spyghost said about the GMBN shirts. Yung dehins nagmumura. sa jersey design, yeah ganun na magiging trend, minimal design. OAV is good, nakausap ko na sila dati (circa 2015). shorts...ooooh, gotta find a good source. may kilala akong nagtatahi kaso dehins sya maramihan kung gumawa. ooooh, gotta talk to them ulit, he he. oo nga pala i bought a PinoyMTBiker socks from a member a few years back. ganda ng design ng socks. kung baga wag po sana yung same pattern na pinalitan lang ng logo, colors and orientation. speaking of socks, ok yung concept ng medyo makulay (but not screaming loud) ala vamos, saka mga sports socks sa dept stores ie sm mens accessories like puma, iconic, etc... saka i like the idea of vamos trio rosso. again, i'm not saying copy, just ideas. ah oo, we never copied designs, just the idea. gone are the days na maraming nakasulat, besides we're not walking advertisements, he he he. socks...'di ko pa nakita yung huli, pero yung first make meron ako. red, black and gray variants yung una eh. maker of good quality baggy shorts. they accept bulk orders at discounted price. Sad to say brad, Bombproof pulled out of Robinson's more than a year ago. Nagpunta ako dun last May, sabi ng guard one year na raw wala. Even their FB page is not updated. Big fan pa naman ako ng Bombproof gear. Heck, my climbing pants are still alive, wala kahit isang punit. Ay talaga? It's been a while since I last visited galeria. They pulled out na pala. I think the last time I went there was last March 2014... when I ordered pants for our fire brigade team. Also loyal with the brand, since late '90s. If i'm not mistaken, they've changed their logo 3 times. Yeah, walang bombproof shorts/convertible pants ako na nasira... it's either it doesn't fit anymore or sawa na talaga, hehe! Will try to contact Kate or Jay and will ask if they still make baggy shorts. OT: in my case yung isang shorts ko sa kanila nabutas na talaga, manipis yata talaga yung tela nung series na yun. yung isa ko naman na shorts nabutas yung bulsa, pero okey pa yung panlabas, small inconvenience lang yung bulsa. and yeah, 3x sila nagpalit ng logo, dehins na ako nakabili nung huli. pero i get odd looks kapag suot ko yung merong unang logo (triangle), lalo kapag ang kasama ko eh yung second logo (stylized B) yung suot, he he. walang magagawa, ang tibay ng products nila eh. sige brad, thanks, kung may contact ka pa sa kanila, the better. i like their materials and products more than what's flooding the market. I'm not saying dehins maganda yung nasa market ha, they're all good, iba lang talaga ang level ng Bombproof Gear. for a minimalist type of design, how about the letters P-M-T-B? ano nga tawag dyan...basta yung hanggang forearm, pero dehins full sleeves gaya ng DH jerseys. teka...dehins ko hahawakan ang jersey, ha ha ha, did that twice na, ayoko na, ha ha ha ha.